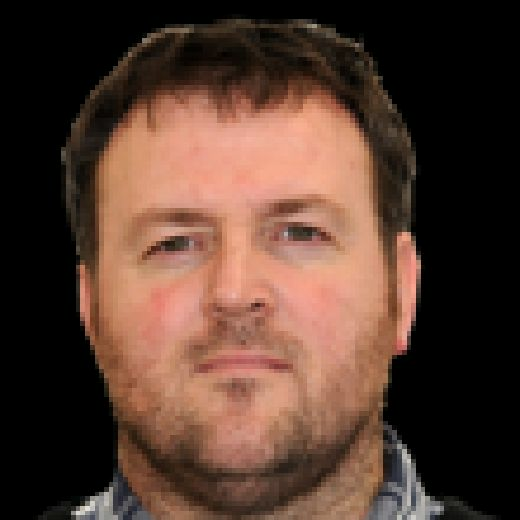 AARON JOHNSON believes Sheffield Steelers’ current match schedule offers them an ideal chance to make the further necessary improvements to help turn their season around. The Steelers staged a dramatic late comeback on Wednesday night to overcome visitors Coventry Blaze 5-4 in overtime and climb up to eighth in the Elite League standings. The next nine days only heralds one match for Tom Barrasso’s players with Dundee Stars visiting South Yorkshire tomorrow (7pm). 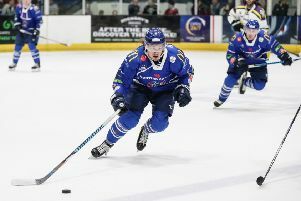 Veteran defenceman Johnson – who scored two goals in the win over Coventry – believes improvements have already been made by the Steelers under their new head coach, but is convinced the additional practice time made possible over the next week or so will prove invaluable to the team’s bid to lift themselves back into contention for honours. “There has already been an improvement in our game and there is definitely a bit of momentum,” said Johnson. “We’ve been fortunate with the number of practice sessions we’ve had in the last three weeks – you can see the difference to the style of our game. Johnson, with 291 NHL appearances and more than 450 AHL games to his name, has seen plenty of hockey in an impressive career, which has also seen him spend two seasons with Adler Mannheim in the German top-tier DEL before his summer move to the Steelers. Combining his two-year degree course with his playing career in South Yorkshire, not to mention everyday family life, has ensured Johnson has had a whirlwind start to life in South Yorkshire, but one that he has now adapted to. "To be honest, I didn't anticipate it all with the school and the family and with the hockey," admitted Johnson. " You get used to a certain lifestyle so it was definitely an adjustment. I'm continuing to learn every day and trying to organise and get ready for games on game days and school on the other days." Johnson is now 20 games in to the latest stage in his career and has been impressed with the quality the UK's top-flight has to offer. "You can see it has got better every year," said Johnson. "There are players that I've played in the AHL that are over here now. That shows the talent that is available and the way that so many games are close and the teams are so close identifies why there are a lot of good teams over here." POPULAR GUY: Aaron Johnson is mobbed by his Sheffield Steelers' team-mates after his second goal made it 4-3 early in the third period against Coventry Blaze on Wednesday night. Picture: Dean Woolley.